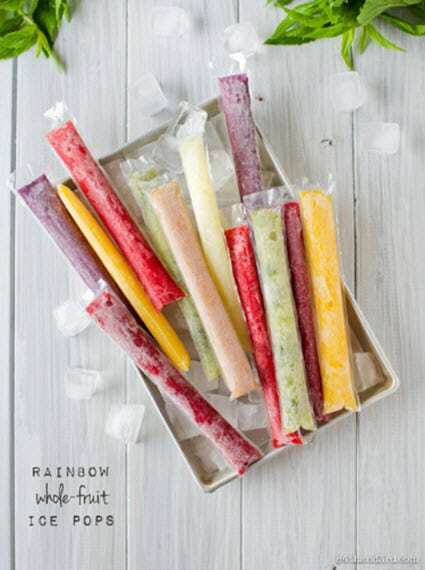 Anytime is the right time for these delicious and healthy fruit ice pops. These delicious pops are every bit as good as what you can buy in the store. Get creative, mix and match your favorite fruits and create dozens of frosty treats for the whole family.